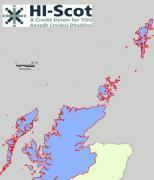 HI-Scot has been in existence since 2006, though up until 2010 was under the name of Western Isles Credit Union. The name was changed to HI-Scot to reflect that fact that we'd moved to a position of serving all of the Highlands & Islands, and indeed anyone who lives or works in this area can apply to join us. Santander has today announced plans to reshape its branch network and close 140 branches in response to changes in how customers are choosing to carry out their banking. Santander's future branch network will be made up of a combination of larger branches offering improved community facilities to support local businesses and customers, and smaller branches using the latest technology to offer customers more convenient access to banking services. Hi-Scot Credit Union has its Annual General Meeting on Wednesday 12th December 2018 at 4.00pm. The office of the credit union is based in Stornoway and due to the geography of Highland and Islands has moved more and more online. Scottish Government Launches ‘people, Not Profit' Campaign To Support The Scottish Credit Unions Sector. The ‘People, Not Profit' credit unions campaign has been launched by Aileen Campbell, Cabinet Secretary for Communities and Local Government today (Wednesday 14 November 2018), as results of a new survey reveal that one in five (20%) people in Scotland have not heard of a credit union. Individuals, businesses and community groups in and around 14 communities in the Highlands and Islands have an extra two weeks to take part in an online survey on rural banking services. Among other things, the survey asks about the importance of being able to withdraw and deposit cash locally, experiences of using Post Office and mobile banking services, and the perceived impacts of local branch closures. Royal Bank is to close 62 Royal Bank of Scotland and 197 Nat West branches. The Wick branch is one on the list.